Why a honeymoon is worth your romance, find out here! Bhutan honeymoon may be your sweetest decision to start an eternally peaceful and harmonious marriage life. Why? Because the humble Buddhism kingdom has been designed to adopt Buddhism into every aspect of life. Every single living creature is treated fairly and equally in Bhutan since it is the core value of the religion. Hence, Bhutan shall be a great start for a life-long and equal marriage aka a happy-ever-after partnership for life! Since 1972, Bhutan has set their development path based on an original index but GDP. It is called Gross National Happiness (GNH), the ration was made to ensure that all Bhutanese are deeply happy. Bhutanese live their lives to the fullest since GNH considers every single aspect of life. A honeymoon trip to “the last Shangri-La” is a great way to start a long and excited journey together. These are 10 reasons why Bhutanese are the happiest people on Earth. If one of you is a fan of Mother Nature. Bhutan honeymoon is definitely your Disneyland. 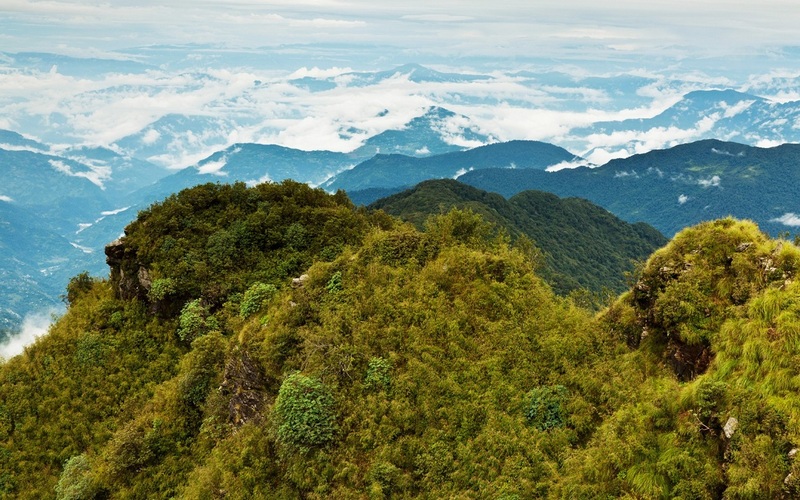 Currently, 72% of Bhutan is covered by its pristine forests. Bhutanese government has made constant efforts to create a net of biological corridors to connect different national parks in many regions within the country so that animals can go anywhere in the natioin. As a result, the popular scenery that you will get to see is vast green forest. Your wedding will be performed by the monks in either Chimi Lhakhang or Changangkha Lhakhang. Chimi Lhakhang is the temple of fertility, almost every visitor who visits the temple prays for children – some couples who are childless ask for children; some who already have children seek protection and happiness for their babies. There are many people in Bhutan, and indeed in other parts of the world, who will vouch on the success of their prayers. Should you prefer to have your wedding performed in the place of history, Changangkha Lhakhang may be your ideal venue. This is the oldest temple in Thimphu built in the 7th century. The bride will wear KIRA and the groom will wear GHO as traditional wedding dress. You will be sitting down near the monks who intone the marriage ritual where you and your spouse will be blessed for happiness, togetherness, long life, and wealth. The couple will be exchanging cups of alcohol where after exchanging they will be declared you as man and wife, after that guests will offer white scarves (khaddar) from the monastery and by the head monk – LAMA. Following the ceremony, you will return to your hotel to celebrate your traditional Bhutanese wedding, traditional Bhutanese dancers will organize a cultural function and others events throughout the day & evening. Due to numerous pristine forests, there will be endless choices for you two – love birds – as outdoor activities after your wedding. You can go hiking, climbing, animal-watching, camping, meditating on a cliff that is right opposite to the great Himalaya. The most unforgettable hiking should probably be the one that you two go together to reach Taktshang together. First challenge conquered by the couple as man and wife – quite an event to be kept, locals suggest. Should your spouse is a yoga fan, meditation is absolutely a-must. Bhutan monasteries and temples offer meditation training and sessions for locals and their friends, sometimes for free. Or you can simply check out this meditation tour to include at least 2 meditation sessions everyday. 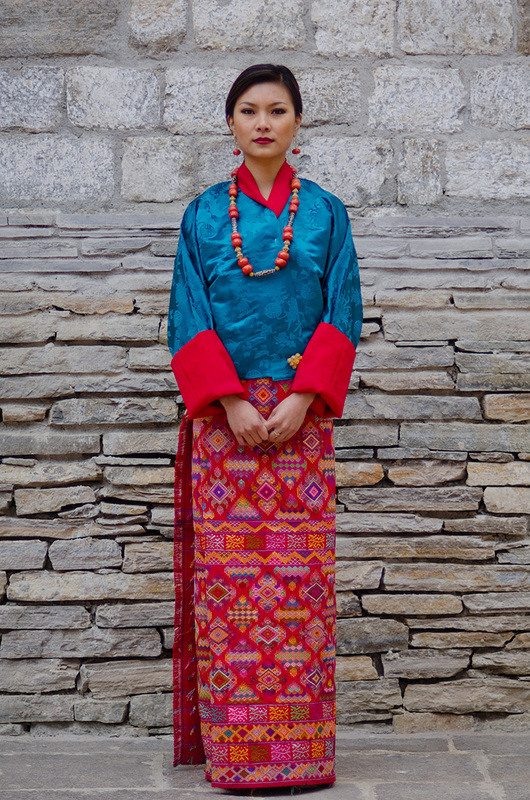 Bhutan keeps celebrating their rich culture via many festivals through the entire year. In Bhutanese, festival is called Tshechu, Tschechu gathers everyone to enjoy colorful and unique Mask dance as a praise to Guru Pinoche himself and to receive blessings from Lama and monks. Everyone should attend a Tshechu once to be blessed and to assuage their guilts. There are many other interesting activities in such Mask Tshechu. Find out more here. Still wondering why Bhutan is your next destination for your honeymoon, don’t worry, other couples have been there and done that. Read why they booked their Bhutan Honeymoon tour. Talk to us if you are interested in experiencing Happiness with your spouse.